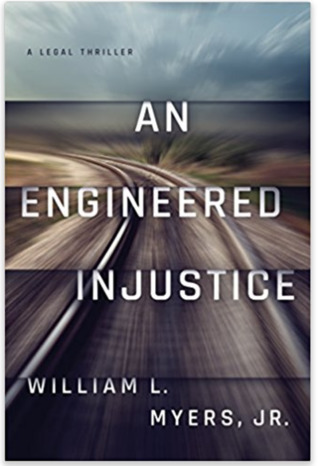 Kritters Ramblings: Review: An Engineered Injustice by William Meyers Jr.
Review: An Engineered Injustice by William Meyers Jr.
Goodreads: What if the deadliest train wreck in the nation’s history was no accident? Kritters Thoughts: The second in series that takes place in a law firm in Philadelphia, PA. This book centers around a more junior lawyer at the law firm who is brought into a train crash due to his relationship with the engineer of the train that crashes. Unlike the first book, this one centers more around the investigation of what happened to cause the train instead of solely taking place in the courtroom - there are definitely courtroom scenes, but much more happens outside than inside. Vaughn, the lawyer was raised in Philadelphia and I loved his unique view and love for the city and its people. I liked him as a character and his drive to get to the bottom of what happened to help his family. There is an interesting conflict with him taking this case and I enjoyed how this law firm handled it. You know how everyone says it's like watching a train wreck, well this book was. There was a metro train crash in DC shortly after I moved to the area and seeing all the agencies that have to work together and the impact it has on the community was just interesting and then to read this book reminded me of that time. The interesting thing about train as a mode of transportation that stuck with me from this book was that there isn't a co pilot in a train like there is in a plane and maybe there should be for medical emergency situations. Of course, I also have this in top of mind because I will be on a train to NYC and the safety wasn't something I thought about before this book!! I liked this one more than the second and my review of the third in the series will be up tomorrow.